NEW WITHOUT BOX!! Perfect condition! 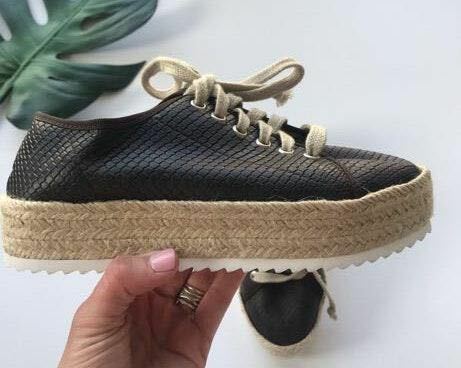 Mocha snakeskin color/style with espadrille bottom. Slight platform! The comfiest shoe ever!! !